Top usual suspects Beyerskloof and Kanonkop return while Rijk's and Faiview repeat last years achievement. The Pinotage Association's winemaking guidelines appear to have been followed across the board with the possible exception of Top 20 finalist Altydgedacht 2010, the only wine below 14% alc while Top 10 Laibach and Diemersdal showed some welcome reprieve from the showy blockbuster styles. KWV has entered top 10 territory for the first time with Mentors 09 while outstanding value for money at R35 a bottle must surely go to Meerkat 09 from Schalk Burger & Sons, making this critter as cheap as chips. Driving to the CWG tasting I found myself wondering just how much the new selection criteria was a posturing exercise and if it would translate into better wines. The answer is an unequivocal yes – for the posturing exercise, no just kidding – the wines were delicious showing more balance and purity than I have seen before from the Guild. Another preconceived notion I nearly quashed was that the whites would be way better than the reds but the gap has closed. Some of the alcohols were a bit hot but oaking more restrained and the fact that many of them were 09 - which many have lauded as best ever for the Cape – also must have helped close the gap. Some of the reds still showed unwanted residual sugar. 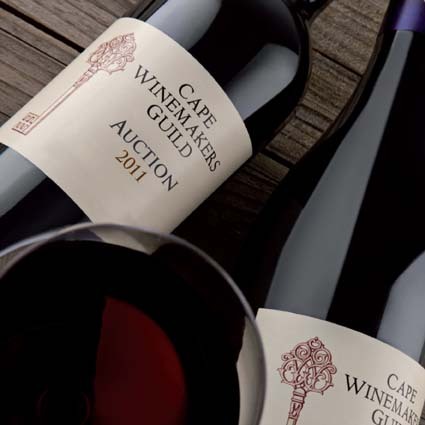 Over in Paarl, Nederburg have also re-jigged their selection criteria - including, for example, sommeliers in the selection panel – and have achieved similar results although the new CWG technical criteria may have excluded one or two Nederburg Auction wines. Passing down the wisdom of (perceived) minerality in wine is becoming increasingly suspect - even for died in the wool terroirists. No lesser being than Rhône-ranger Chapoutier has declared that ‘petrol’ characteristics are a winemaking fault saying they are a result of hard pressing of decomposed veins within the grape. Comparing the debate over petrol aromas in Riesling to the issue of spoilage yeast Brettanomyces, Chapoutier said it is absurd that ‘historical defects in wine should be accepted as part of the character of the wine’ and that the vital aspect of Riesling vinification is the gentlest of pressings, often taking 12 hours, so as to avoid breakdown of the vascular structure within the grape. The Chapoutier family also make Riesling in Alsace and Victoria, Australia. Scientists are challenging the notion that terroir can be detected in a wine. As part of a study into vineyard soils, the Geological Society of America concluded that the French ‘gout de terroir’ - translated literally as 'taste of the soil' – probably isn't caused by minerals found in the vineyard. 'If wine lovers are going to talk about a mineral taste in wine, they should acknowledge that we don't at present know its cause”, says geologist Alex Maltman.